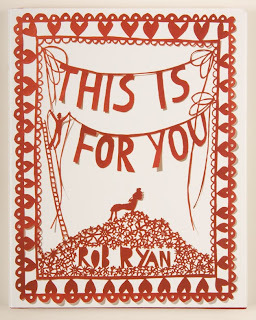 I recently bought a book of paper cuts by the incredibly talented Rob Ryan. While paper cuts may not seem like the most intriguing art form - how much can you really convey with one color and scissors? - his art is amazing and inspiring!! 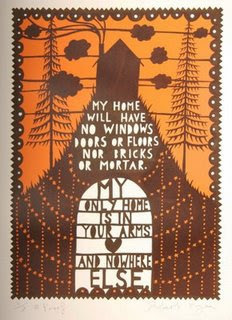 Both sweet and a bit melancholy. These are some of my favorite works of his. I think both would make such wonderful wedding presents - unique and heartfelt! Here's a few more. 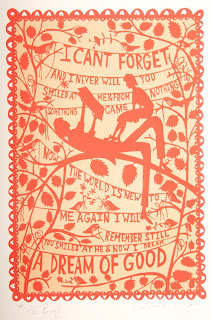 Sweet without being sentimental - my favorite kind of love poem. This is the cover of his book. I highly recommend it! 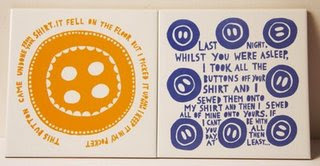 You can also find him on Etsy, and in New York City as well for a limited time! 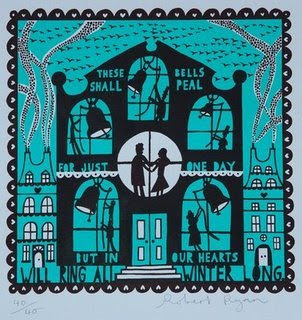 I love Rob Ryan's artwork too- sigh! They are wonderful! I may need to go see this book in person. The cover rocks!